The Wild Blueberry Association of North America encourages all Canadians farmers to show their best #CanadianFlag photo on #NationalFlagDay of Canada! Happy #NationalFlagDay of Canada! 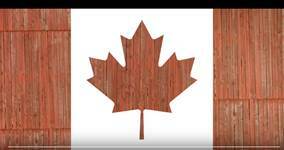 The Wild Blueberry Association of North America encourages all Canadian farmers and wild blueberry aficionados to participate in #CanadianFlag day. Celebrate #CdnAg by sharing a photo of your best Canadian flag using #CanadianFlag on your favourite social media platform today!